Sober alcoholics have a nickname for New Year’s Eve: Amateur Night. It’s when the normies (what those same sober people call normal drinkers) who usually have a glass or two of wine when they go out to dinner or a few brewskies in front of a ball game go out for one night of the year, start drinking over dinner, continue for the rest of the night, then pop open a bottle of champagne at midnight. The next morning they’ve cancelled their trip to see the local parade, and instead they’re moaning in bed and racing to the bathroom every 15 minutes to puke their guts out. Then they make their first New Year’s resolution that they will most likely break before year’s end: never again. Sometimes they’ll do a shorter version of the same song and dance on St. Patrick’s Day with the green beer, or on Cinco de Mayo with a few pitchers of margaritas. 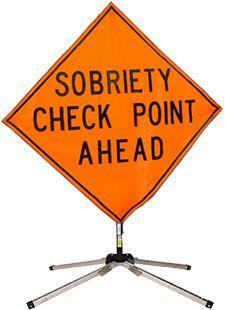 There’s a good reason that the Highway Patrol works overtime with extra sobriety checkpoints on these holidays. It’s because of the amateurs. I was invited to a New Year’s Eve party with old friends I was looking forward to seeing, but ended up at another bash with a bunch of my daughter’s friends and their parents who have all become good friends of mine. Definitely a quality problem being invited to two parties on the same night. Everyone should be so lucky on New Year’s Eve. As someone who used to drink a lot but no longer drinks at all, New Year’s Eve can sometimes be a little uncomfortable, unless of course I’m staying home – which my husband did. He’s had a week-long ear and sinus infection and if I dragged him to the party, I know he’d be tapping his watch at me before 9:00, and that wouldn’t be fun for either of us. So he was the one who stayed home, and yet he was also uncomfortable. Double bummer for him. The party was a potluck, and it was a smorgasbord of everything from pizza to lox to brownies to potstickers. Of course the kids woofed down the pizza and baked goods, and about 18 of them were running around, jumping on the trampoline, dancing in unison with the Wii, and blowing horns well before midnight. I’m quite sure my friends didn’t make a quick u-turn in the middle of the street when they saw the flashing lights signaling a sobriety checkpoint or throw up in their shoes. And my guess is that they’re waking up this morning a little later than usual (after being up well past midnight) and they’re bright eyed and bushy tailed enough to cook their kids a stack of New Year’s Day pancakes. I was thinking of writing my New Year’s resolutions for today’s blog, but I figured every other blogger in America was doing that. I’m just glad that one of my resolutions is no longer to quit waking up with a hangover. I haven’t had one in over 16 years. And the added bonus of that is that I have found some wonderful friends who are responsible drinkers even on New Year’s Eve, and don’t care that I’m toasting with Martinelli’s. That’s the good thing about real friends: they won’t care if you’re toasting with a $1,000 bottle of Champagne or a bottle of dishwashing liquid; all that matters is that you are there. Dishwashing liquid? I hope my friends stop me before I take a swig of that. Yuck! But I appreciate the sentiment. Great post. I think one of the smaller benefits of sobriety (besides already being up this morning!) is that you no longer feel like you have to be at THE party on New Years Eve. And that the one you are at was never quite THE ONE. Contented sobriety is being a blessing – joy is serenity dancing. I’ve never heard that line. It’s wonderful!